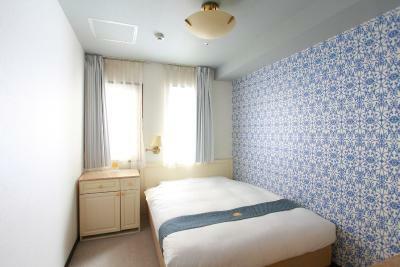 Lock in a great price for New Osaka Hotel Shinsaibashi – rated 8.3 by recent guests! Very convenience location for shopping.The bed and pillows are comfy. It’s also easy the find the restaurants nearby. I have stayed here for many times and for sure will come back again. Really good location, and convenient for the airport shuttle. Breakfast is provided, good stay. 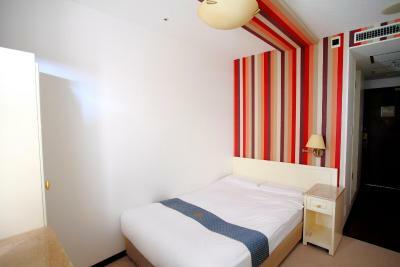 A good value hotel with a great location - in a club/bar district, very close to the main shopping streets. I chose this hotel in order to attend the Fanj-Twice music venue - the hotel was just a couple of blocks away. Staff were very friendly and helpful. I had breakfast at the hotel which I thought was decent quality, with a fair selection of cooked Japanese and Western options. Good value too. Close to Dotonbori and Shinsaibashisuji shopping street. Lots of good food in the area. Very comfy beds, alarm and light switch panel next to the bed were very handy. Staff were lovely! Location was very accesible to everything and in a quieter area so no disrurbance at night. 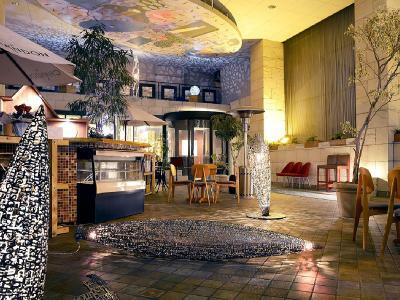 The atmosphere of entranceway into lobby was welcoming and breakfast room was bright and cheerful, the hostesses efficient with quiet graciousness. The desk was always very helpful with directions. The location was excellent for walking about and for the use of the metro. Hotel is located in the middle of all the best eateries. They have a floor exclusive for women. Recommended for girls. Walking distance from the metro, department stores, a lot of shops. New Osaka Hotel Shinsaibashi This rating is a reflection of how the property compares to the industry standard when it comes to price, facilities and services available. It's based on a self-evaluation by the property. Use this rating to help choose your stay! 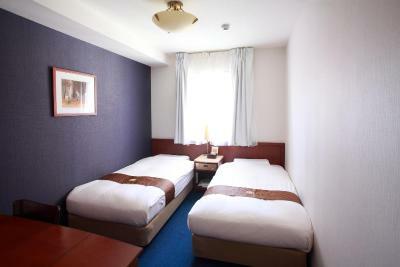 New Osaka Shinsaibashi's air-conditioned rooms have a fridge, a TV with on-demand movies (VOD) and a private bathroom. 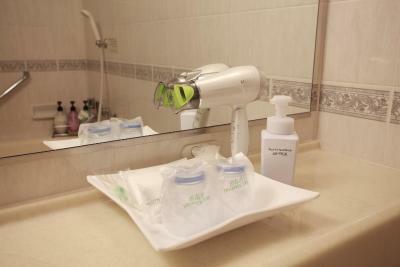 In-room massage treatments are available. 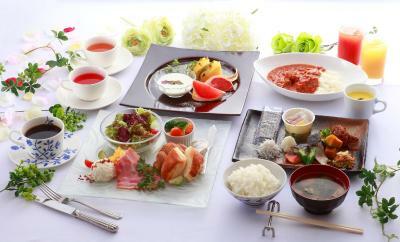 A buffet breakfast featuring Western and Japanese dishes is available at Adustam. Dinner is also available at the restaurant. New Osaka Hotel Shinsaibashi is less than a 5-minute walk from shopping centers such as Daimaru and Shinsaibashi shopping mall. Osaka-jo Castle is a 10-minute train ride away and the Namba area is a 15-minute walk away. Vending machines can be found on site. 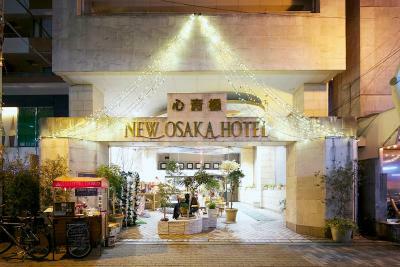 When would you like to stay at New Osaka Hotel Shinsaibashi? This air-conditioned room has white wood furniture. It is fitted with a minibar, a TV and a private bathroom. 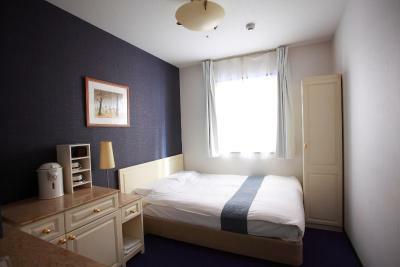 Air-conditioned room with a semi-double bed (55 in wide). It is fitted with a fridge, a TV and an private bathroom. 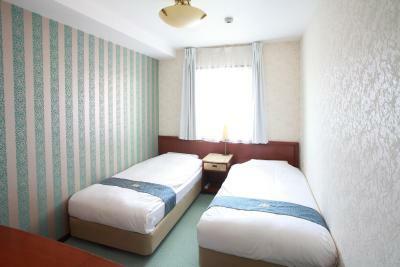 This air-conditioned room has a large double bed. It is fitted with a fridge, a TV and a private bathroom. This air-conditioned room is fitted with a fridge, a TV and a private bathroom. This single room has air conditioning, electric kettle and mini-bar. House Rules New Osaka Hotel Shinsaibashi takes special requests – add in the next step! New Osaka Hotel Shinsaibashi accepts these cards and reserves the right to temporarily hold an amount prior to arrival. I got 1 thin pillow, I have to prop with my clothes. The air conditioning was smelled when I set up to warmer temperature. I needed to keep at 19 degrees. The first room I got was dirty, I took a few photos and went back to the lobby to show them and asked for a different room and they kindly agreed. The second room wasn't perfect either but it was definitely good enough to stay. The view was not nice. Very small and some stink from the room, I had never lived so bad room is , and not very cheaper price. Room was full of smell of cigarettes although it's on a smoke free floor. 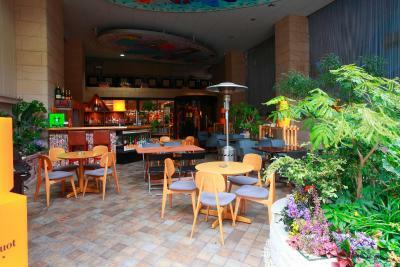 This is a slightly older hotel probably aimed at the Japanese salaryman. I found the bathroom a little musty smelling initially, and the beds were quite firm. There was no safe in the room and little storage space.